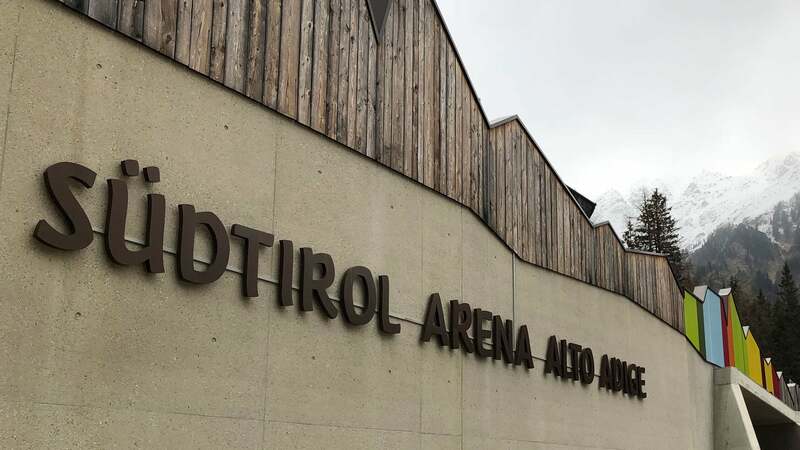 It’s easy to find the South Tyrolean stronghold for biathlon. The alpine landscape of Anterselva will provide a unique backdrop to the biathlon championships. Let us show you the best way to reach the valley, from any direction and by any means of transport. We organise a number of free shuttle buses that travel frequently between the nearby villages and the stadium entrance. 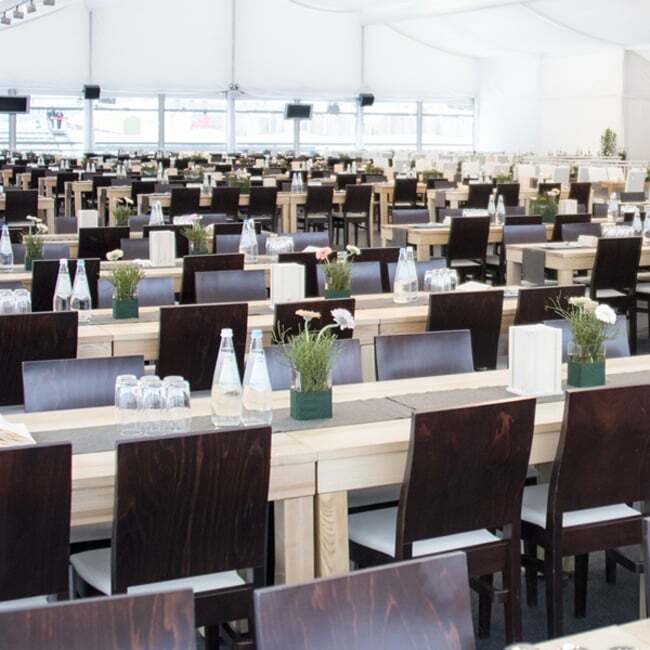 From Anterselva di Mezzo, where the car and coach park is situated, our A-Shuttle brings you comfortably to the stadium and back. 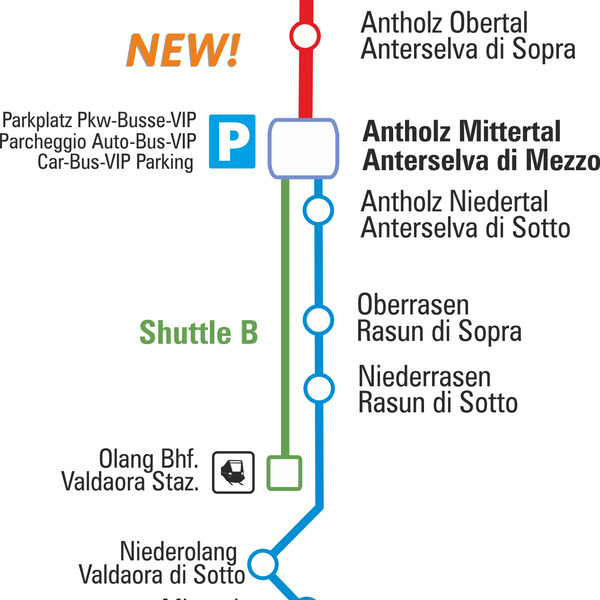 If you travel from Olang or Rasen using the B or C shuttle respectively, you should change at Anterselva di Mezzo to the A-shuttle. The principal rail link for reaching Anterselva is the Brenner route Innsbruck-Bolzano. To reach the Puster valley, change at Franzensfeste for Olang. From East Tyrol the railway runs to Innichen via Lienz. Here, you should change to the ‘Regionalzug’ train and get out at Olang. Since Anterselva itself is not on a railway line, our free shuttle or the public bus network will take you from there to the stadium. The southern Tyrol enjoys a well-developed public transport network. Several buses run each day between Bruneck, the principal town of the Puster valley, Olang and Anterselva. If you are bringing a coach party, park the coach in Anterselva di Mezzo. From there our A-Shuttle will bring you to the Biathlon Stadium in a matter of minutes. From the Brenner Autobahn between the Brenner Pass and Modena take the Brixen exit to reach the Puster valley. If you are arriving from the east, you will arrive via the Puster valley national road (Pustertale Staatsstraße). Finally, in Olang, take the turnoff to Rasun-Anterselva and continue to the parking area in Anterselva di Mezzo. From there our free shuttle will take you to the event. All information on the timetables of the shuttles for the World Championships 2020 will follow.